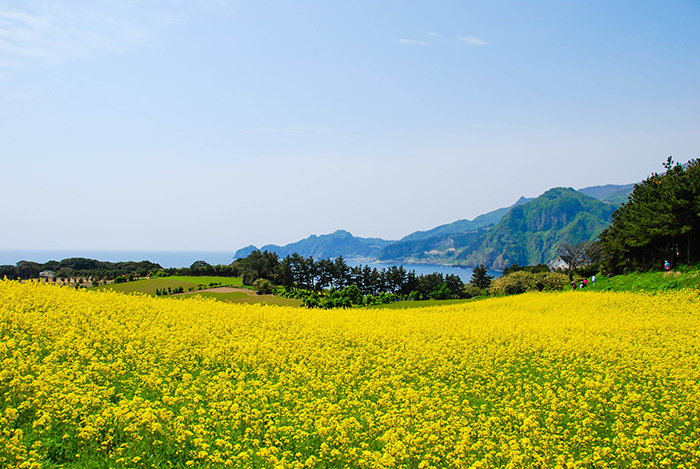 All what you have heard is Jeju Island and its beauty? 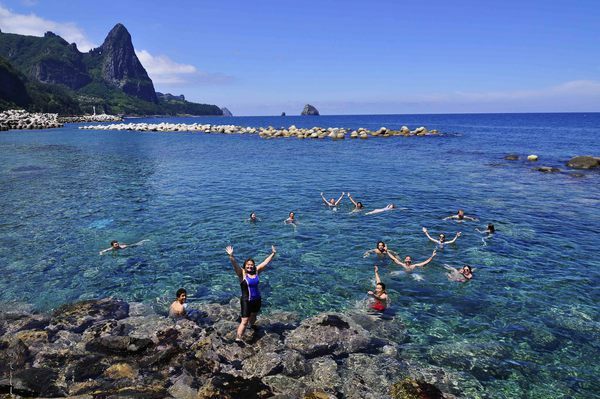 Jesu Island is just one of the beautiful islands Korea has to offer, let’s all take a journey to Ulleung-do Island and Dokdo! 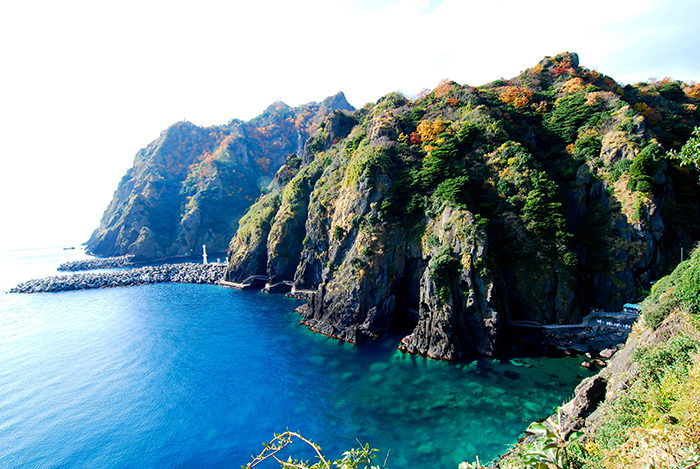 Ulleung-do Island and Dokdo are known for their impressive natural environment. Created by volcanic eruptions with its unique geographical landscape, the islands present abundant picturesque spots for visitors to explore. In the center of Ulleung-do Island stands the majestic mountain known as the Seonginbong Peak, where its highest point offers a bird’s eye view of the entire island. Visitors may also choose to enjoy a cruise on the deep blue waters of East Sea with oddly formed rocks and strangely shaped stones surrounding. Meanwhile, it takes about 1 hour 30 minutes by boat to get from Ulleung-do Island to Dokdo, where one can get a glimpse of the most beautiful first sunrise of Korea. Dokdo holds a special place in the hearts of Koreans as they hold pride in defending Korea’s easternmost reached territory. There are other small islands, but in this post, let us take you to Jukdo, a small island adjacent to Ulleung-do Island, and it is considered the largest island among the others in the region. Due to the strong presence of bamboos on the island, it was given its name as juk refers to bamboos in Korean. In order to have the top view of Jukdo Island, visitors will have to first climb a spiral stairs consisting of 364 steps. After making your way up the stairs, an observatory deck offering a panoramic view of the neighboring Ulleung-do Island with facilities including log benches, two rest shelters, camping ground, picnic sites, as well as will local food restaurants can be found. 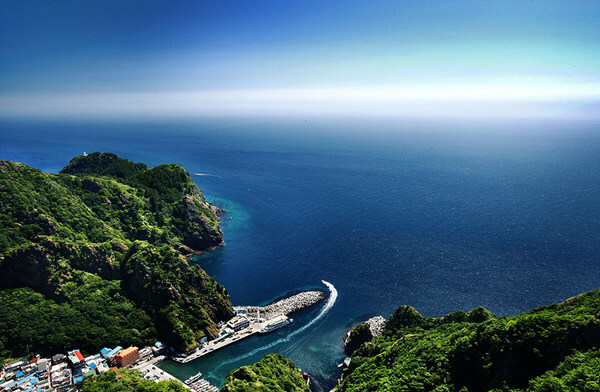 From the observatory deck, the ridge found Northeast of Ulleung-do Island, cliffs; Gwaneum-do Island and Samseonam Rocks can also be seen. More often than not, tourists visit Jukdo Island on their way back to the Ulleung-do Island, the ‘main island’ by taking a ferry service leaving from Dodonghang Port. The cruise service only operates during the summer peak season (from Dodong Port to Juk-do Port). It takes about 20 minutes from Dodong Passenger’s Port for a one-way trip to Jukdo Island.